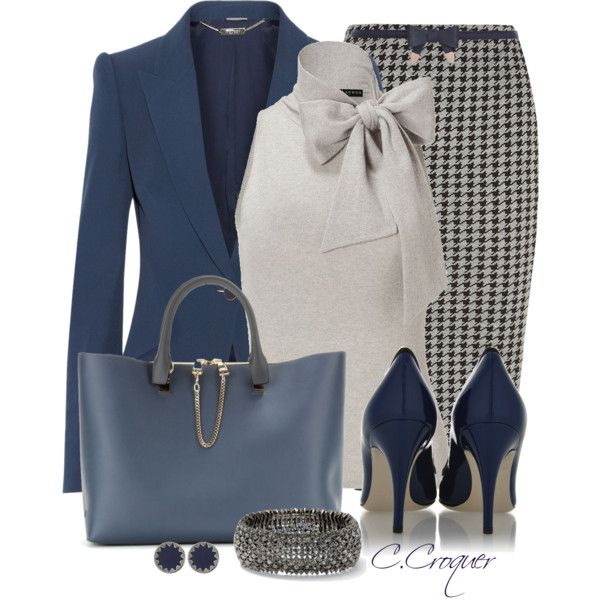 This time we are going to speak about office outfits for women over 40. In every large corporate office company you need to stick to its dress code rules. 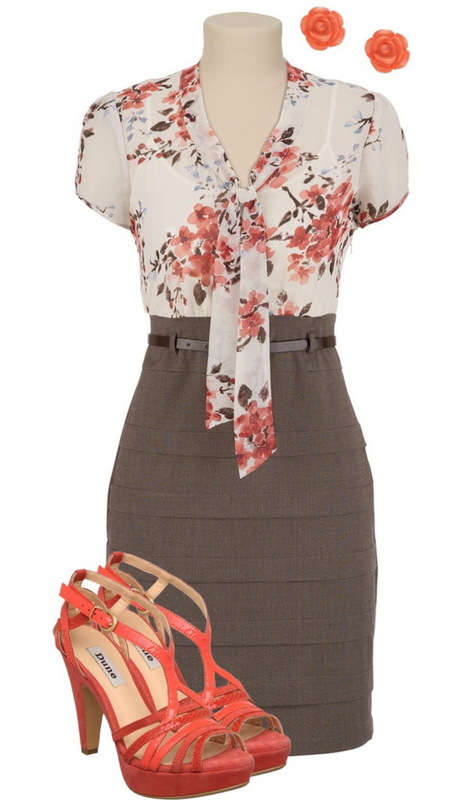 Most of firms advice its workers and secretaries to stick to neutral color palette and conservative prints. 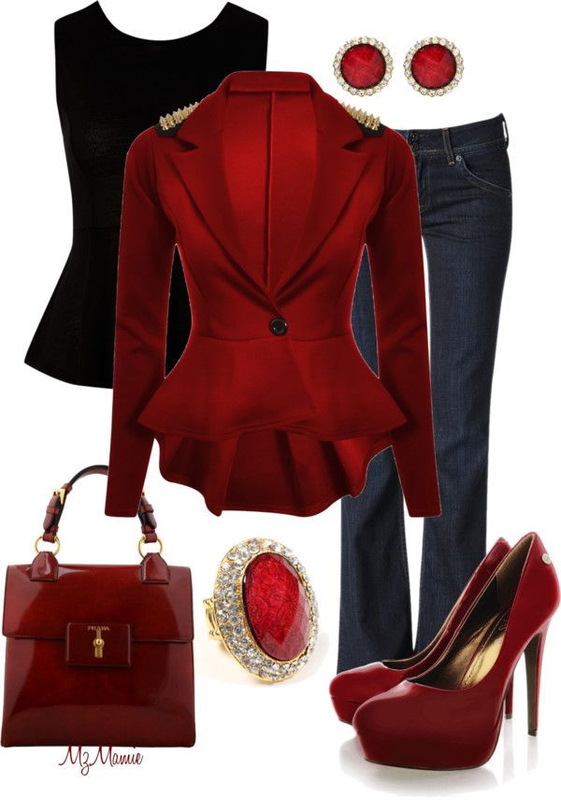 Today we are going to look through classic office style looks completed with timeless accessories and footwear designs. I tried to choose trendy and modern looking combinations, so you can look and feel yourself perfect. 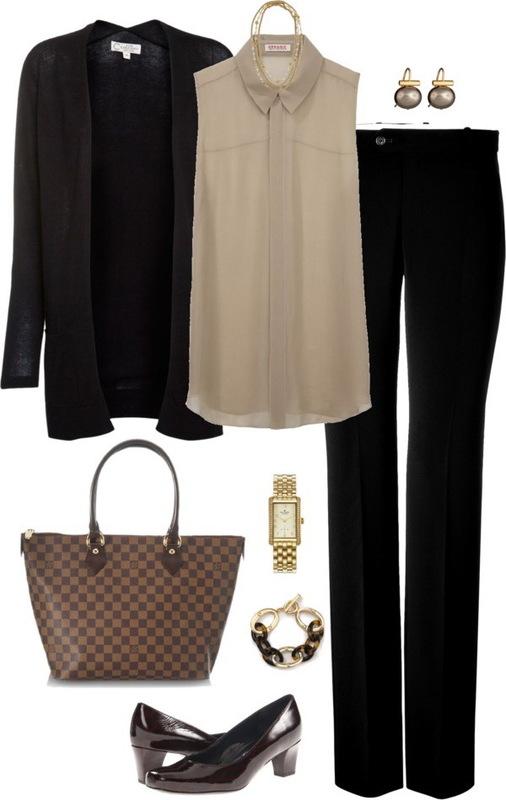 Anyway, read on to find great Polyvore sets that will ideally fit your working hours at the office. We see a perfect grey dress with a slouchy neck. The frock is completed thanks to grey heeled pumps and pretty purse. Personally, I highly recommend not to show too much skin. That's why better avoid sleeveless frocks, keep the length of your dress or skirt knee-length or below. If you go sleeveless, then you should cover your shoulders with shawl or silken scarf. The best cover-up is blazer or cardigan. This topper is great for those who want to look more polished and classic. There are three simple rules to follow if you want to look professional and work appropriate. First of all is comfort that equals confidence. Before you leave the house, you need to make sure every piece exudes confidence and flatters your body perfectly. Keep things professional and polished. Before buying any new garment, you need to check if it's made of natural fibers, keep fabrics from clinging to body and make sure knitted garments are less structured. The second rule is an ideal layering look. As I have already mentioned, it's important to have a blazer with you. This piece is ideal for creating a layering outfit. Be sure to create a focal point. The lead piece is very important. All you need is to pick one piece of clothing or accessory and make it stand out from the crowd. Anyway, I think we better take a closer look through this Polyvore sets compilation and choose our favorites. 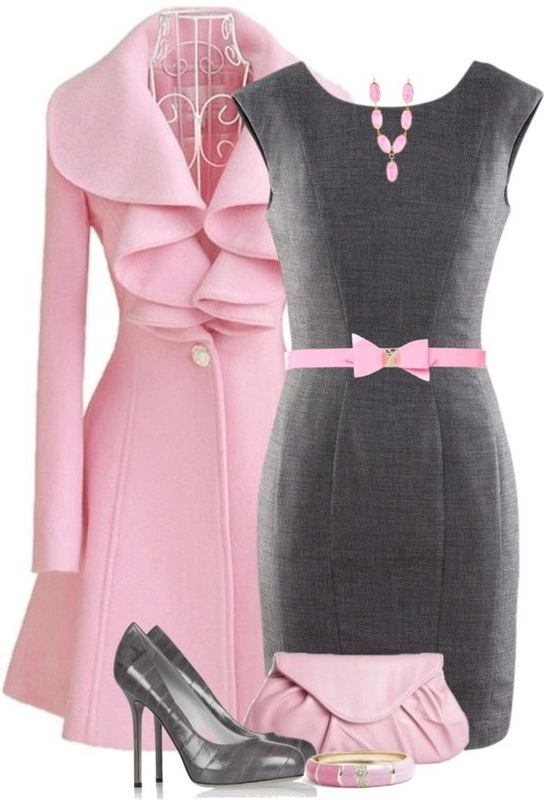 I would love to find where to buy the grey dress with the slouchy neck. I tried the link provided, but no luck on the Revolve site.